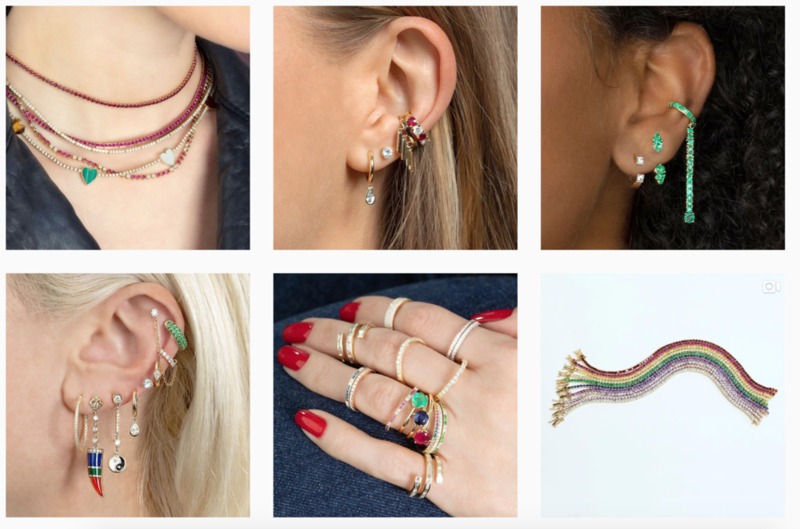 We sourced our favorite instagram cult favorite jewelry lines from Fine Jewelry to rhinestones. See below prices high to low! Tennis bracelets starting at $1,450. Earrings starting at $300. Barretts and bobbies starting at $150 , crowns and halos $150-$500. Bobbies starting at $29 ! Cult favorites Leigh Miller and Ellery. Shop our favorite pieces by them below.